South Dakota Public Broadcasting is supported via three major funders: the audience, the state of South Dakota and federal sources. The state of South Dakota maintains much of the SDPB infrastructure. SDPB is a division of the South Dakota Bureau of Information and Telecommunications, a state agency. The state pays the salaries of SDPB employees, buys equipment for the network and provides space for the network operations through the University of South Dakota, a state-supported school. Federal funding includes yearly support from the Corporation for Public Broadcasting. In addition, the network has acquired more than $5 million in grants since 2002 from federal sources to help pay for the conversion to digital broadcasting. SDPB operates under the guidance of the seven-member Educational Telecommunications Board, an organization first set up by the South Dakota Legislature in 1967. Members are appointed by the governor. The board holds SDPB's broadcast licenses, sets goals, reviews expenditures and makes recommendations for the operation of the network. Friends of SDPB is governed by a volunteer Board of Directors. The Friends of SDPB is the network's major source of funding for programming and programming-related services. Friends is made up of individual contributors and corporate sponsors. The Friends of SDPB provides money for programs on the local, regional and national level. 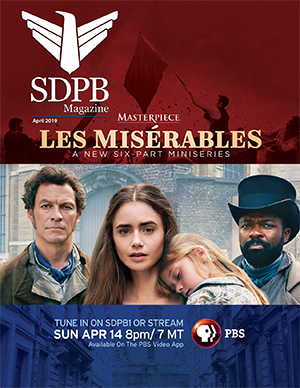 In addition, it provides customer service for the SDPB audience and the monthly program guide with details about TV, Radio, Internet and Education & Outreach activities.